Whatever stage you are at in your career, make sure you’re properly collecting royalties for your work anywhere it’s used—while keeping and controlling 100 percent of the rights to your songs. New writers, Grammy-winning writers, bands, artists, producers—Songtrust empowers creators of all kinds to take complete ownership of their publishing royalties. Our automated, cloud-based, self-service platform helps you save time and lower the cost of administration which will help you save money while maximizing your returns. 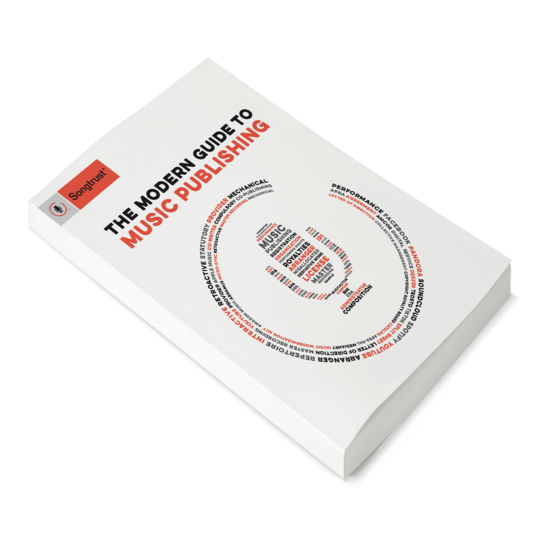 Traditional publishers are looking for guaranteed major hits and songs that they can own or co-own. Songtrust gives you the flexibility to access everything you’re earning and make decisions about your career from an informed, empowered place. Simple setup: Register your songs in minutes and reduce the time you spend on administration. Efficient royalties: Let us handle licensing with major digital service providers and more than 40 societies covering more than 95 percent of income-generating territories. Transparent accounting: View interactive royalty statements, see the status of song and songwriter registrations, and more. Register your account, add your songs, and start collecting as we register them with our global network. Our self-service platform makes it easy for you to collect from as many channels as possible with minimal effort. We register your songs with more than 40 performance, mechanical, and digital societies and regularly review those registrations. If you have any technical hang-ups, support is available via chat, phone, or email. See how easy it is to collect your publishing royalties with our self-service platform. Find out why 170,000+ songwriters and publishers trust us with more than 1 million songs.